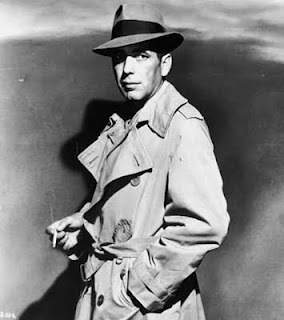 Humphrey DeForest Bogart was born on December 25th 1899 in New York. He was the oldest child and only son of Dr. Belmont Bogart and Maud Humphrey, who he was named after. 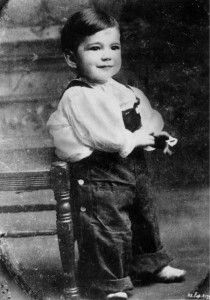 His mother was a commercial illustrator and she often used her baby boy as a model. Although he and his two younger sisters lived very comfortably, they did not get much love form their formal parents. Humphrey’s father hoped he would follow in his footsteps and he sent his son to private schools. But Humphrey hated it and in 1918 he got expelled. World War I was in full swing and Humphrey enlisted in the navy. He spent most of his months in the Navy after the Armistice was signed, ferrying troops back from Europe. When he returned to America, his parents tried to get him a decent job through their connections, but Humphrey didn’t last in any of them. Through a childhood friend he got a job as a stage manager and a few months later, in 1922, he made his stage debut as an understudy. Although his reviews were not great, he decided he liked acting. Humphrey appeared in multiple Broadway productions the following years and the reviews got better. He enjoyed the ‘Roaring Twenties’, loved a drink and was known to be a bit of a ladies man. During this time he married actress Helen Menken in 1926, but they divorced a year later. In 1928 he married actress Mary Phillips and according to all accounts they were a fun couple. In 1929 Mary and Humphrey decided to go to Hollywood and he got a contract with 20th Century Fox. It was around this time that he acquired the nickname Bogie, given to him by colleague and friend Spencer Tracy, which he would be known by forever more. 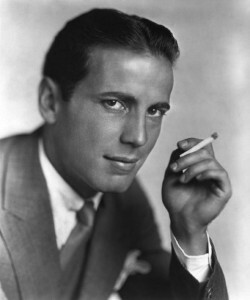 But the early 30’s were not a good time for Bogie. His career was not going well and he struggled to make ends meet. His family fortune had plummeted and by the time his father passed away in 1934, he left Bogie with a 10,000 dollar debt. His sister Pat had a serious mental breakdown and a while later his sister Kay died of a ruptured appendix. Bogie was depressed and started drinking heavily. He decided to move back to New York and do stage work again. Soon he got a part in the Broadway play The Petrified Forrest, next to Leslie Howard, which became a huge success. Warner Bros. bought the movie rights to the play and hired Howard to star in it. But for Bogie’s part they decided to go with another actor. When Leslie Howard heard this he said: ‘No Bogart, no deal’. Since Howard wouldn’t budge they hired Bogie to play the part. The Petrified Forrest was a hit and Bogie signed a contract with Warner Bros.. Unfortunately, they only gave him parts in B-films that he thoroughly disliked. During this time Mary and Bogie grew apart and separated. He quickly fell for another actress: Mayo Methot, who was a lively, fun woman. But she also suffered from alcohol dependency, a violent temper and was prone to jealousy. In 1938 they got married. Needless to say, the marriage was tumultuous. But in 1941 his career took a turn for the better. He got the leading role in a film written by his friend John Huston called High Sierra. Immediately after, he starred in John Huston’s directorial debut The Maltese Falcon. The films were a hit and Bogie was a star. But it was the film that followed that would make him an icon: Casablanca. Although both Bogie and co-star Ingrid Bergman did not think much of Casablanca, it was a huge success and even won an Academy Award for Best Picture. 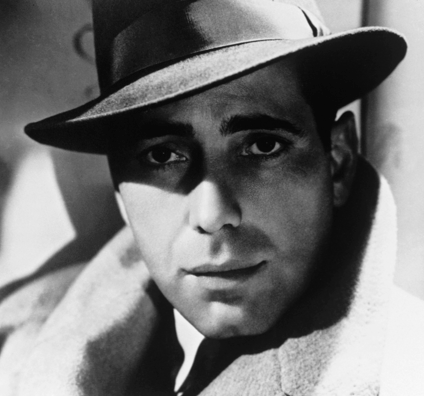 But for Bogie the following film would have much more of an impact on his life: To Have and Have Not. 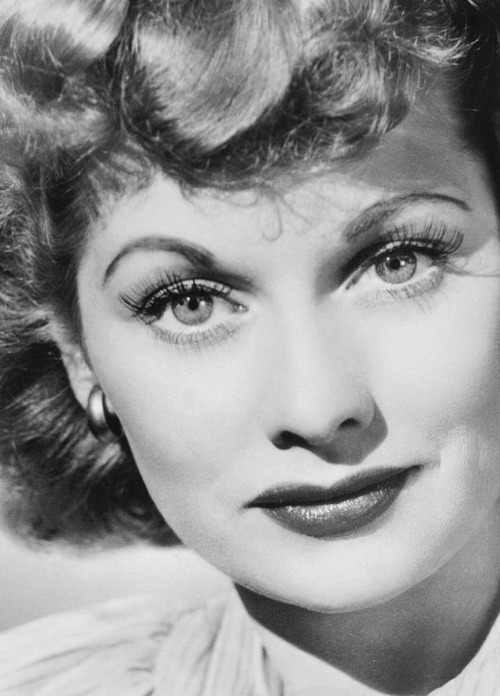 His co-star was the nineteen-year old Lauren Bacall. They fell for each other instantly, even though Bogie was still married. His next film, The Big Sleep, featured Bacall as well, and Bogie was torn between his marriage and his growing love for Bacall. On May 10th 1945 the divorce between Mayo and Bogie was finalized and on May 21st he married Bacall. 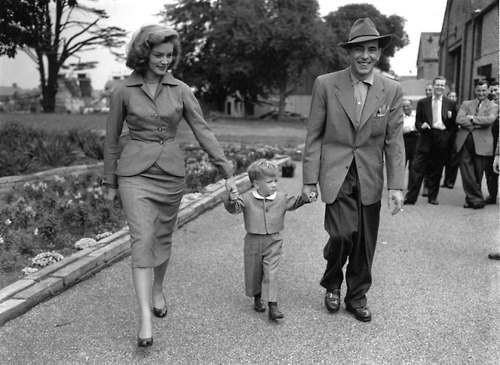 It was a happy marriage and in 1949 Bacall gave birth to their first child: a son named Stephen after Bogie’s character in To Have and Have Not. In 1947 Bogie had secured his financial future with a new contract at Warner Bros.: one million dollars a year for fifteen years. 1948 proved an exciting year for him; he started his own production company named after his boat Santana and organized a delegation to Washington DC against the House Un-American Activities Committee’s (who researched Communist activities) harassment of Hollywood screenwriters and actors. Meanwhile Bogie worked steadily on films like Key Largo and The Treasure of the Sierra Madre. In 1951 Bogie started working on The African Queen with Katharine Hepburn and his wife followed him on location, as he liked to have her with him. Filming wasn’t easy, almost the entire crew came down with dysentery, but it earned him an Oscar for Best Actor. In 1952 Bogie and Bacall became parents to a girl they named Leslie, after actor Leslie Howard who was responsible for Bogie’s big break. Although he made iconic movies like Sabrina and The Barefoot Contessa during these days, Bogie was starting to lose his appeal to the public in the early 50’s. Method actors like Marlon Brando were taking over and Bogie became a thing of the past. In 1956 Bogie was diagnosed with throat cancer. Despite several operations and chemotherapy Bogie’s health declined and he passed away on January 14th, 1957. See his life in pictures in the Humphrey Bogart Gallery. Read about his relationship with Lauren Bacall here. Copyright © Classic Hollywood Central All Rights Reserved................................................................ Blossom Mommy Blog by Blossom Themes. Powered by WordPress .